closely to concerns about the loss of monetization during the Content ID dispute process. Currently videos that are claimed and disputed don’t earn revenue for anyone, which is an especially frustrating experience for creators if that claim ends up being incorrect while a video racks up views in its first few days. and trailblazing beats, to electric comedy and captivating edutainment, Toronto has long been an epicentre for creative talent. Today we officially open YouTube Space Toronto to supercharge one of the largest creator communities in North America! 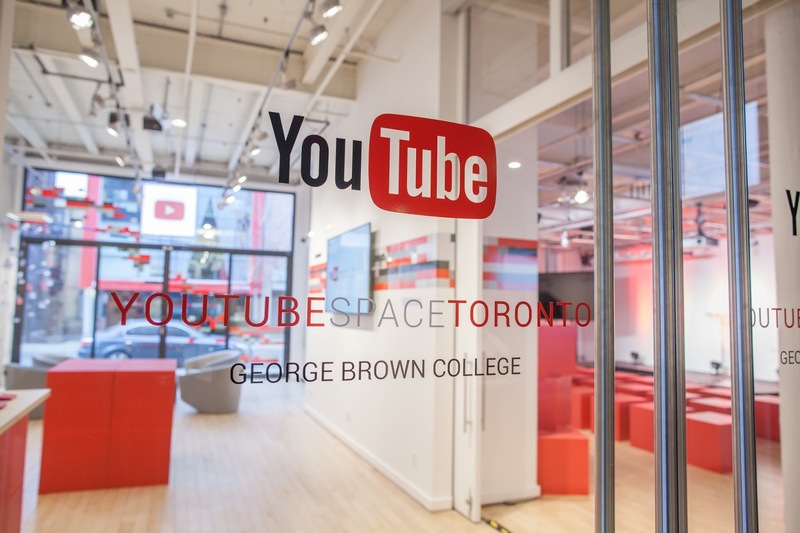 YouTube Space Toronto will be a creative industry incubator, offering creators an opportunity to learn from industry experts, connect with fellow YouTubers in a collaborative setting and use the latest latest film equipment to create more ambitious and innovative video content. Located at at George Brown College’s Centre for Arts, Design & Information Technology, YouTube Space Toronto will offer workshops and programming at no cost to Canadian creators who are looking to build their channels, giving them tools and guidance to remove barriers and enable them to innovate and experiment. Learn: From training programs and workshops to master classes, there are plenty of opportunities to get hands-on experience from industry experts. Connect: Attend events, collaborate with fellow creators, brainstorm ideas, and share tips and tricks to get the most out of YouTube. Create: This is your space to make your videos and there are resources to help you from start to finish, including areas for creative collaboration; loaner production equipment such as cameras, lights, boom microphones, and more; rotating sets and enclosed sound stage. The Canadian creator scene is one of the world’s most vibrant YouTube communities, with many of the world’s top YouTube creators hailing from Canada. We’re thrilled to open our doors to this incredible community, as well as the next generation of YouTube artists, musicians and entertainers, who are looking build their channels and share their content with YouTube’s audience of one billion people. Today, YouTube Space Toronto joins a list of eight other cities to have a YouTube Space, all of which are also known for their local creative industries. Since March 2015, creators filming in YouTube Spaces globally have produced over 10,000 videos, which have generated over 1 billion views and 70+ million hours of watchtime. had 70 million subscribers - or twice the population of Canada! For the latest YouTube Space Toronto news and events, be sure to subscribe to our newsletter. We can’t wait to see what happens when Canadian creators have a Space to call their own. One thing we know for sure, the world will be watching! Canada is a creative powerhouse. From global musical sensations and trailblazing beats, to electric comedy and captivating edutainment, Toronto has long been an epicentre for creative talent. 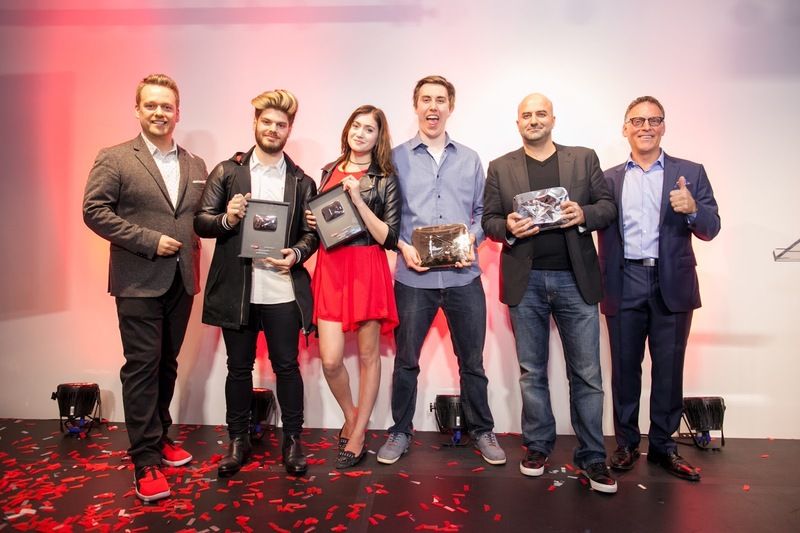 Drum roll please… the winners of the UK and US YouTube NextUp class of 2016 are in! Last month we announced this year’s contest for YouTube NextUp. We’re starting with the UK and US first, and we received hundreds of entries from channels of all kinds – from fashion to science, sports to food and everything in between. And while deciding on the winners was beyond hard, we’re super excited to announce the final list of 51 winning channels! Let’s get right to it. 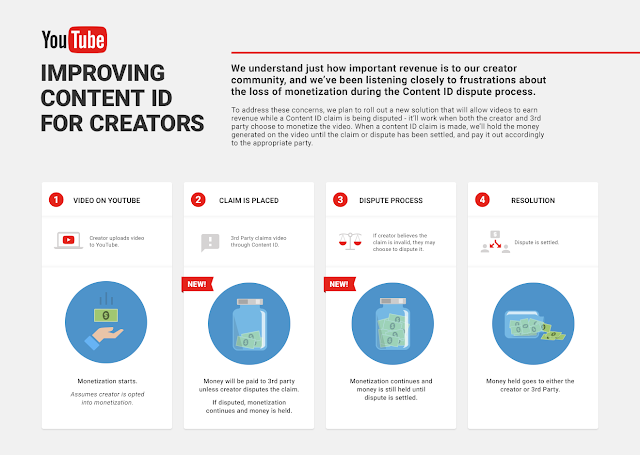 Not only do these channels each get a $2,500 (or £1,750) voucher for production equipment, their creators get a spot at a weeklong creator camp at their nearest YouTube Spaces in London, New York, or Los Angeles. While there, they’ll team up with production experts to learn new techniques in camera, lighting, and sound, and receive coaching from the YouTube Partnerships team on how to grow their audience like a pro. They’ll also get advice from previous YouTube NextUp grads (like Cassey Ho from Blogilates, Marcus Butler and Jack & Dean) and the opportunity to meet and work with other fast-rising creators in the program. And for you creators outside of the UK and US, this is just the start for the YouTube NextUp class of 2016. The Tokyo contest is currently accepting submissions for Japan-based creators, and in the next few months we’ll be holding contests in Tokyo, Sao Paulo, Berlin, Paris, Toronto and Mumbai. So keep your eyes peeled for the announcements, enter to win, and you could be NextUp!! !